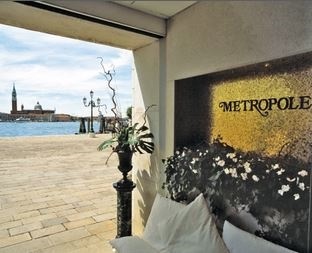 Overlooking the Grand Canal in the Santa Croce area and a twenty minute stroll from St Mark’s Square with a vaporetto stop a few steps away, the stunning Palazzo Venart Luxury Hotel is well placed for exploring the city. 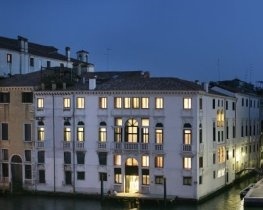 Palazzo Venart is a 15th century building carefully returned to its former glory after a very accurate restoration. 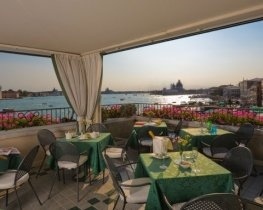 Each of the 18 uniquely and beautifully decorated guest rooms and suites reflect a moment in history or culture of Venice; choose from a sumptuous classic room to the most luxurious of suites with Grand Canal views. 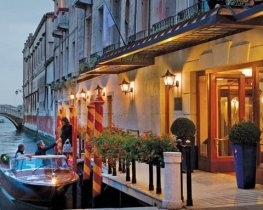 The Michelin star Glam Restaurant under acclaimed chef Enrico Bartolini presents exquisite contemporary Venetian classics, the magnolia-filled courtyard is a delightful setting for a la carte breakfast and the pretty canal-side garden a wonderful oasis in which to relax. Dine amidst the fragrant magnolia trees in the tranquil courtyard; choose from the seasonal a la carte menu or a tantalising tasting menus complemented by an extensive wine list.